Many factors determine whether a bite injury inflicted by a dog to a human will lead to a lawsuit. Probably the chief factor is the severity of the injury because less severe injuries do not warrant the costs of initiating litigation. However, since there are an estimated 4.5 million dog bites to humans happen in the United States annually, it is not surprising that in a significant number of cases the victim is seriously injured. In many of these cases the injuries lead to significant financial hardship and emotional turmoil for the victim and family, therefore compensation is justified, but only if a legal basis exists for such compensation. 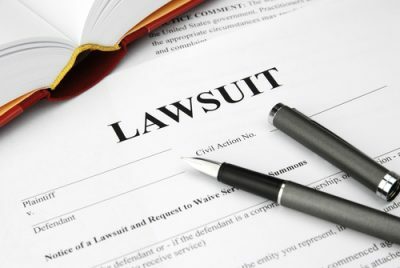 I will provide the reader with examples of the kinds of cases that turn into lawsuits. The basic fact pattern from each case will be presented along with other relevant information about the case. This information was gathered from verdict reporting services. Fact pattern: The defendant, in this case, was a church where the victim was attending services. The incident took place after the church services ended but on the church grounds. The dog was owned by individuals living on the premises of the church. The victim sustained a severe dog bite on his leg resulting in a 26-day hospitalization with unsuccessful skin grafts. 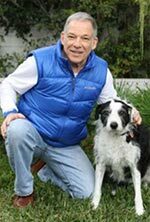 Legal issues: The plaintiff argued strict liability against the church since they were the keeper of the dog and they must have known about the dangerous nature of this pit bull. Previously the pastor of the church had warned the plaintiff to stay away from the dog. The defendant’s position was that they were not the keeper of the dog, and they denied having any knowledge of the dogs’ previous dangerous nature. A jury trial in 1993 resulted in a verdict of $140,000 for the plaintiff. Artiga v. Assemblies of God. Case # BC 047879, Los Angeles Superior Court, Central division. Fact Pattern: The plaintiff claims that he was attacked in the alley next to the defendant’s home. There was a question of fact where the attack took place. Legal issues: Plaintiff argued he was not trespassing on the defendant’s property. The defendant, in contrast, argued that the plaintiff came onto the property and was trespassing according to the defendant the dog was on a leash in the fenced yard, and the dog was 11 years old and had never bitten anyone before. A defense verdict was rendered in this case. Case # BC 094324. California Superior Court, Santa Monica. Fact Pattern: The plaintiff in attendance at a Babe Ruth baseball game when he was attacked. The owner of the dog was the equipment manager for the Babe Ruth league, and the equipment manager brought the dog with him to the game. Legal issues: The plaintiff argued that equipment manager was in the course and scope of his employment with the Babe Ruth league. The defense argued that the equipment manager was not in the course and scope of his employment, but rather he was at the field with his dog for personal reasons and not on League business. The trial, in this case, took three days and it occurred in 1991. A defense verdict was rendered. Holdsworth v. Peninsula Babe Ruth league. Case No. YC 002089 Los Angeles Superior Court, Torrance.